The birth of the Holy Mother of the Rosary Cathedral is one of the true watershed moments in the history of Buffalo’s Polonia. This break from the Roman Catholic Church by determined Poles, not only demonstrated the immigrants’ desire to keep some of the ways of the Old World, but their keen understanding of the religious freedoms that America provided. Their struggle would forge connections between Western New York and a Polish Independent Catholic Church movement that was spreading across the country during the nineteenth and twentieth centuries. 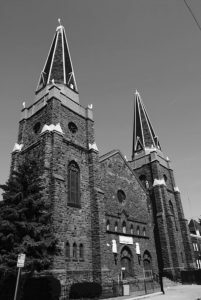 By 1895, an ongoing and at times violent struggle at St. Adalbert’s Roman Catholic Church had come to a head. A great number of the parishioners at the church were upset with Dean John Pitass, the man the Roman Catholic Bishop put in charge of the Polish parishes, installed an unpopular priest at St. Adalbert’s. 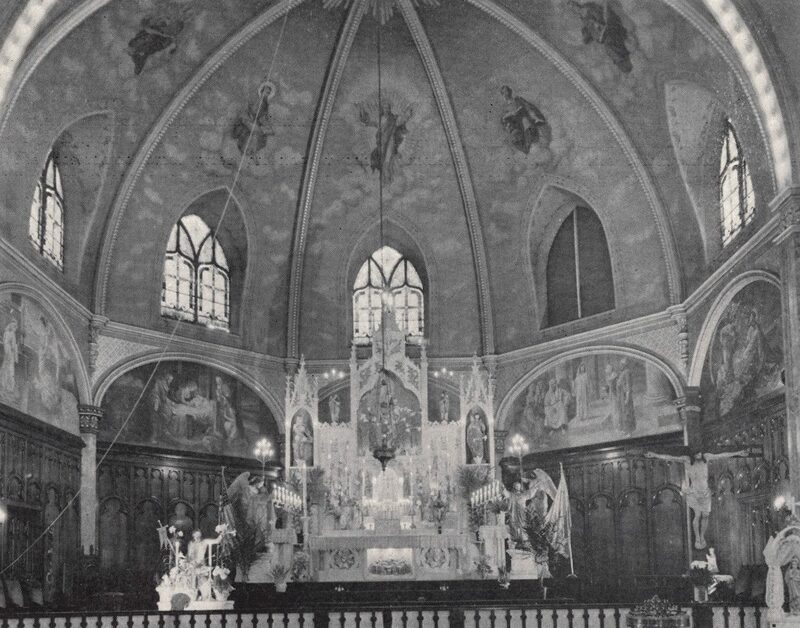 This would prove to be the tipping point and in August of 1895, the first Mass of the parish was held in a field near the corners of Sobieski and Sycamore streets. The congregation chose the name Holy Mother of the Rosary for their parish, J. Przybysz was elected chairman of the church, while Father Klawlter became the first priest. The early years for the new parish were ones of growth. A combination church and school facility was built on the site of the first Mass and the second priest of the parish, Father Stephen Kaminski was elected Bishop at the Synod of Independent Parishes held in Buffalo. Starting in 1900, plans were laid out to build a proper cathedral for Holy Mother of the Rosary. It would take six years but the finished medina sandstone edifice was blessed by Bishop Kaminski on June 10, 1906 in front of 2,000 people. In time, the bishop would establish a cemetery for the church. The passing of Bishop Kaminski in 1911 and the poor administration abilities of his replacement resulted in church funds being mismanaged and the mortgage to not be paid. This led to a long legal fight where the Roman Catholic Diocese purchased the cathedral and set up its own parish of Queen of the Most Holy Rosary in the building. Finally Holy Mother of the Rosary was able to prove the transaction was improperly handled and purchased its church back. 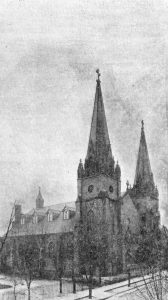 During this ordeal, the congregation voted to become affiliated with the Polish National Catholic Church of Scranton, PA in January of 1914. In June of that year, Bishop Franciszek Hodur, founder of the Polish National Catholic Church visited Buffalo to celebrate Mass with the congregation of Holy Mother of the Rosary. With the return of their church and joining the PNCC, stability returned to Holy Mother. In 1928 Holy Mother of the Rosary once again reached the rank of cathedral, this time as the seat of the Buffalo-Pittsburgh Diocese of the Polish National Catholic Church. Over the years, the Sobieski Street Cathedral would host the General and Diocesan Synods as well as other conventions, foster Polish organizations, and try to improve the lives of its parishioners. As members of the church moved out to the suburbs plans to relocate the cathedral were undertaken. On August 29, 1993, ground was broken in Lancaster for the new cathedral. Two months later on October 10, 1993 the last Mass on Sobieski Street was celebrated. It would almost take three years for the building to be completed but on August 10, 1996 the cathedral was dedicated with the first Mass held the next day.